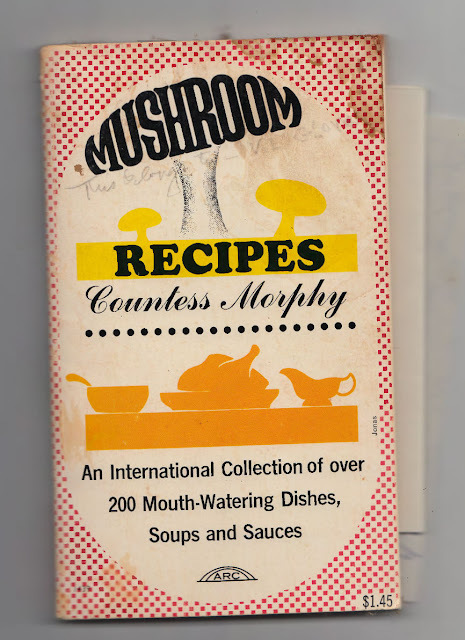 Morphy is a genius, and I'll give you her first secret, Mushroom's best friends are "lemon juice and dear butter". 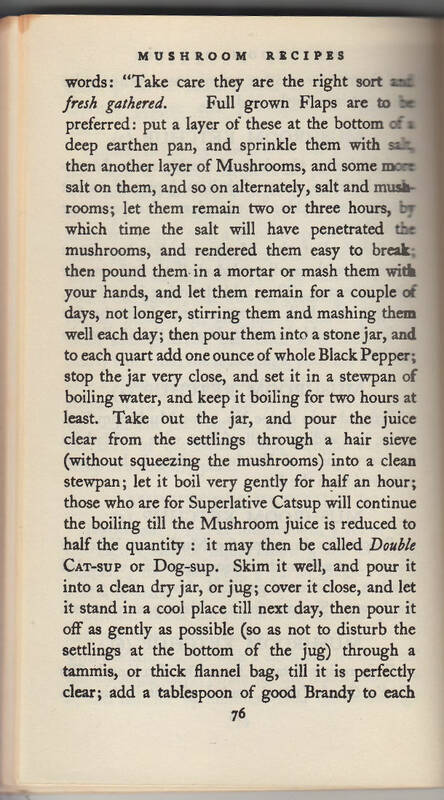 Now I'll tell you a secret Alton Brown taught me, never wash mushrooms and cook them like you would cook meat; high --- low --- high. 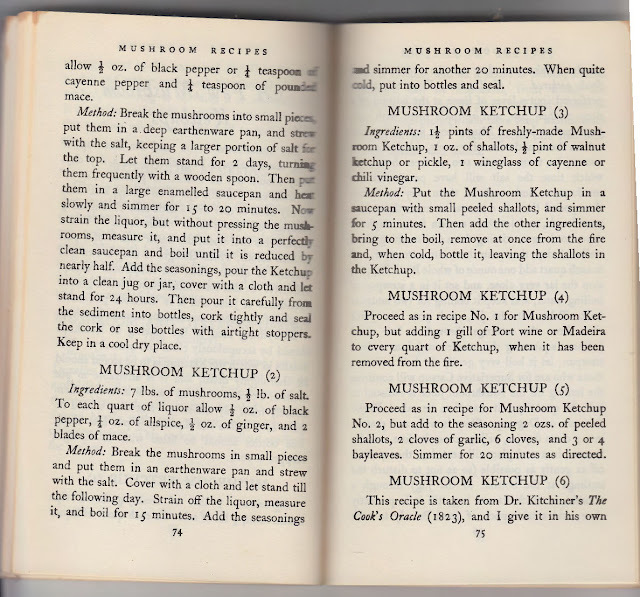 "Mushroom Cat-sup Or Dog-sup", Sup Dog? IDK. I can't say I have tried Mushroom Catsup let alone made any, but I am intrigued. Warning! 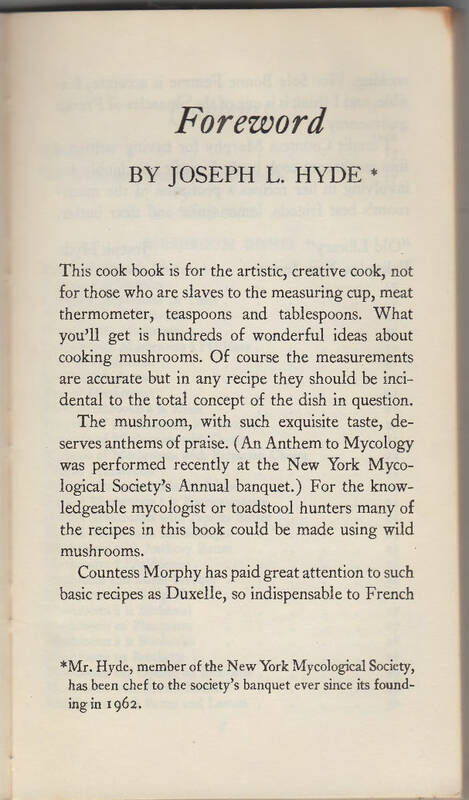 Countess Morphy's Mushroom Cookbook is "not for those who are slaves to the measuring cup". Personally, I am just a fan of anyone who calls mushrooms "flaps".